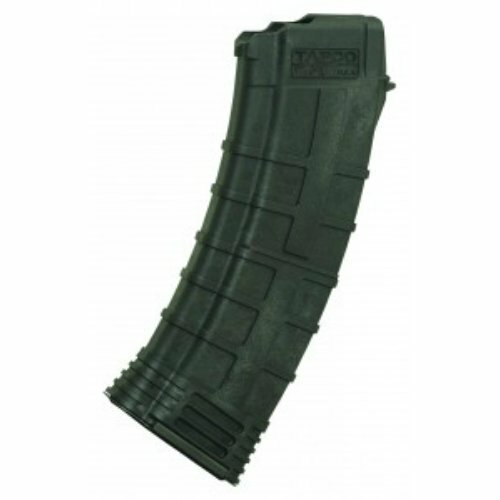 Despite the popularity of the AK-74, reliable magazines are not that easy to find... until now. The INTRAFUSE® AK-74 Magazine is the only choice for anyone who wants a rugged and reliable magazine. The reinforced composite material prevents corrosion while the heavy duty spring and anti-tilt follower ensure that every round will feed perfectly. Fits the AK-74 using 5.45 x 39mm ammunition. Not to mention that it counts as 3 U.S. 922r compliant parts.